Any damper is only as good as the equipment around it, so when you are replacing shocks absorbers and struts make sure your have the right service parts to get the most out of your suspension. If not already supplied with the shock or strut, BILSTEIN recommends replacing the bump stops and dust tubes. 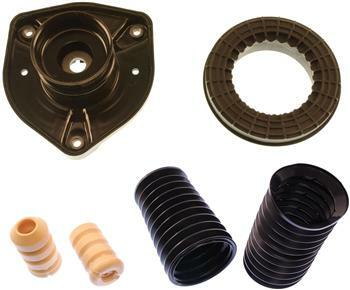 All B1 Spare Parts components are designed to fit our BILSTEIN shock absorbers and struts. All parts are produced to OEM standards and quality that BILSTEIN has built our reputation on. Fitment is simple; all available components are designed to be used as original equipment replacements with no modifications required.